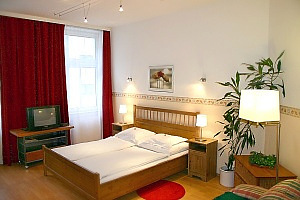 Welcome to our family run traditional Viennese holiday apartments. We would like to offer you our hospitality in the charming atmosphere of old Vienna. 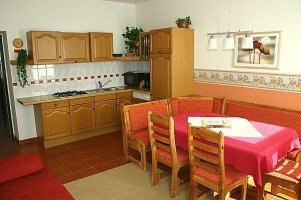 In our apartments 1 to 6 people can be accommodated in comfort. Our guests are tourists as well as employees of big companies, people who are looking for a flat, university professors and students. Cable television, CD- and DVD-player, telephone and an internet connection with Wireless LAN we consider as standard equipment. For your comfort and convenience, each apartment is fitted with everything: china and cutlery, coffee machine, dishwasher, microwave, stove, toaster, refrigerator, washing machine, also bed linen, towels and dishtowels. In order to make your stay in Vienna as pleasant as we possibly can, we also offer the following services: daily cleaning, babysitter service, fresh bread and rolls daily. A parking space in a garage can be rented for your convenience.